What was an exception years ago is a routine matter today: single-sided walls. For example when concreting against existing structures or for the skinning of pits, for retaining walls or for shafts and tunnels. 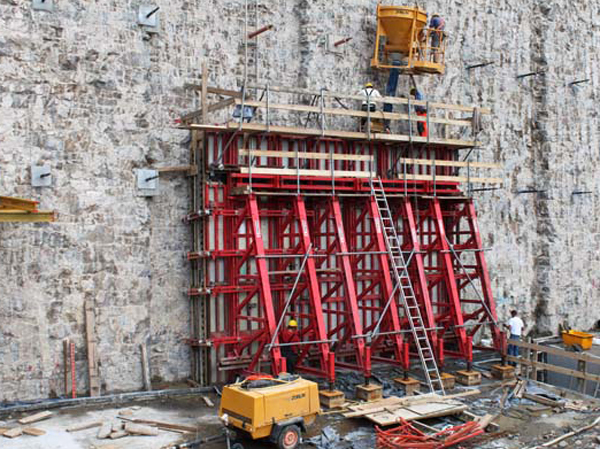 With single-sided walls, the total concrete pressure must be transferred from the formwork into the structure or into the ground. 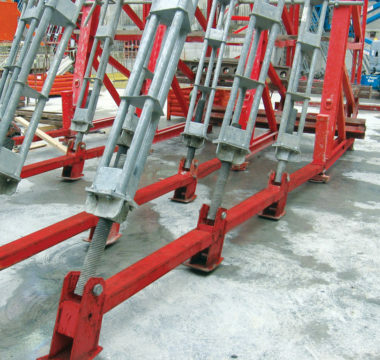 Meva support frames offer a safe and economical solution with an anchoring system that is built into the foundation, the floor slab or the slab. 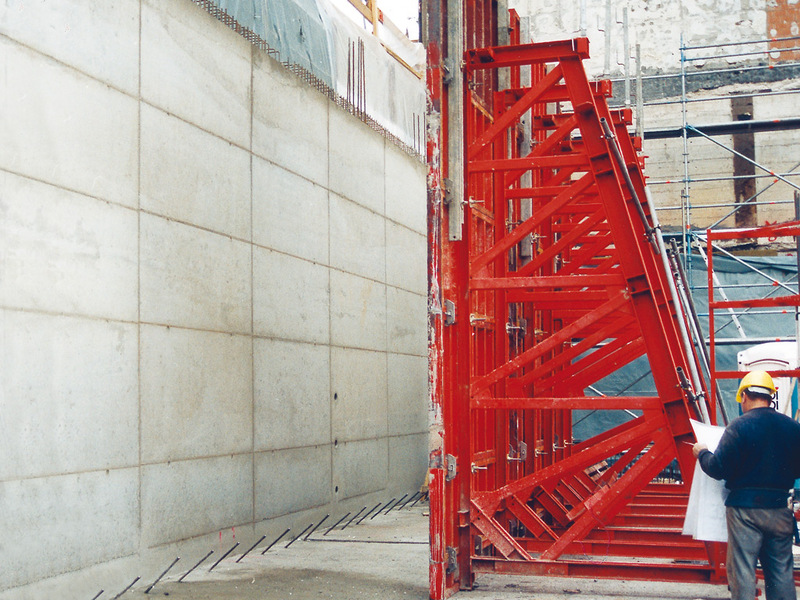 The height of 3000mm allows the forming of walls up to 3750mm. 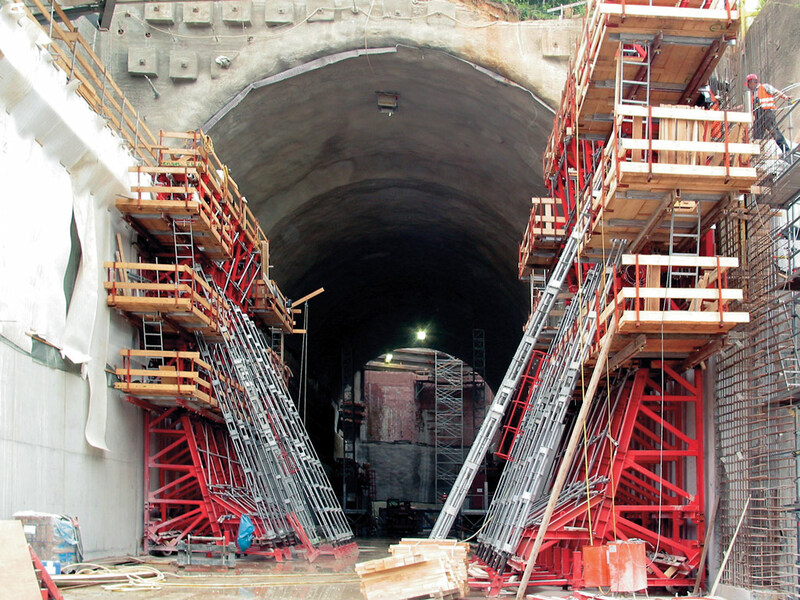 The height of 4500mm is suited to build up to 5m high walls. For greater heights, extension pieces of 1500mm can be added. Triplex braces are used to support walls of 12m or more. Indispensable for small single-sided applications of less than 2000mm. Foundations and floor slabs etc. must be able to resist the transmitted loads (a static calculation might be required). The dimensions of the anchors and the layout have to be planned in detail before the construction start. 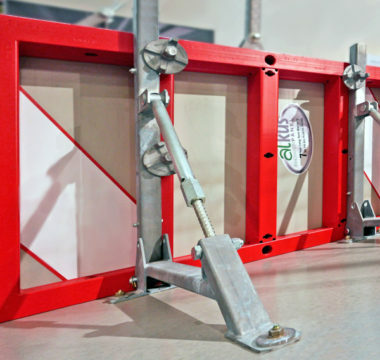 In order to avoid overloading the formwork, the support frames should be attached to the panels close to tie holes. 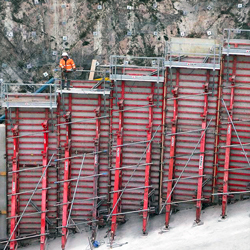 The ‘opposite side’ of the single-sided formwork (e.g. existing wall) must be able to resist the concrete pressure. As a rule, anchor bars must not be welded, heated or deformed.